Some novelists take an uneasy book or two to find their voice, others say everything in an audacious debut and then subsequently disappoint; rarer are the cases of the writer who arrives seemingly fully formed, producing mature, thoughtful books from the get-go and then at decent intervals over their literary career. 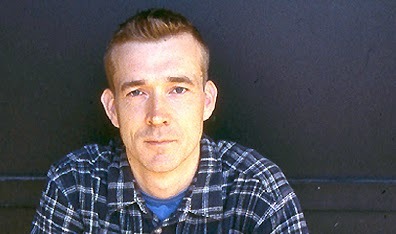 The English novelist David Mitchell is an example of this latter type. Mitchell burst onto the world literary scene in 1999 with an extraordinary debut novel, Ghost Written. Largely set in Japan, where Mitchell was living at the time, it is an alluring polyphonic tour-de-force that brings in such themes as magic, animism, Buddhism, Japanese millennial cults and international terrorism. Mitchell followed up Ghost Written with the slightly more conventional Number9dream (2001), a Bildungsroman about a Japanese student and his complex relationship with his wealthy family. Cloud Atlas (2004) was the novel that confirmed Mitchell’s place as one of British fiction’s most interesting talents. Shortlisted for the Booker Prize and spanning a multiplicity of genres and time periods, Cloud Atlas was a series of superbly intertwined short-stories that revolved around ideas of loss, betrayal, duplicity, racism and grief. It was in Cloud Atlas too that we began to see something of Mitchell’s bigger plan with intriguing call-backs to his earlier books and the reuse of previous characters and settings. Mitchell’s fourth book was the more subdued, semi-autobiographical Black Swan Green (2006) about a year in the life of a 13-year-old English boy with a stammer in the small village of Black Swan Green in the West Midlands. Set in the early 1980’s, this was a more intimate novel although it too had its wider resonances with the appearance of characters from Ghost Written and Number9dream. Mitchell’s next offering, The Thousand Autumns of Jacob De Zoet (2010), told the tale of Jacob De Zoet, a young Dutch merchant who falls in love with a Japanese woman in eighteenth century Nagasaki. A full blown historical romance with fantastic elements De Zoet was a triumph: dark, lyrical and wilfully strange, this was a seasoned and witty reflection on love and loss and good and evil. In 2013 Mitchell translated a Japanese teen’s Asperger’s Syndrome memoir and wrote a powerful essay in the Guardian newspaper about coping with his son’s autism in austerity challenged rural Ireland. David Mitchell’s sixth novel, The Bone Clocks, is a recapitulation of many of the concepts and conceits of his earlier works. It begins with the story of Holly Sykes, a lippy Anglo-Irish teen, who runs away from home in Gravesend, Kent, in 1984. Holly and her little brother Jacko both have supernatural abilities: Jacko has precognition powers and Holly hears voices (the Radio People) that appear to be the internal monologues of other people. While Holly is fleeing home sinister forces come after her and successfully kidnap Jacko. The action shifts seven years forward to 1991 where dissolute Cambridge University student Hugo Lamb has just met Holly Sykes, now a chalet-maid at a ski resort in the Alps. Hugo is abducted by a mysterious and somewhat prolix group who call themselves Anchorites of the Dusk Chapel of the Blind Cathar of the Thomasite Monastery of the Sidelhorn Pass. The Anchorites explain that they are not only able to teleport and see into the future but that they have also discovered the secret to eternal life. Hugo is offered a humdrum but safe existence with Holly or immortality (with a rather unpleasant murderous catch). We jump forward thirteen years to 2004 where Holly is marrying her childhood sweetheart and then to 2015 where Hugo’s Cambridge chum novelist Crispin Hershey runs into Holly at the Perth Writers Festival. Holly has written a successful book about her childhood, The Radio People, while Crispin’s latest offerings have perplexed his audience. (There’s a very funny aside where Crispin takes to task reviewers who might dare to complain about serious English novelists writing fantasy books.) Holly and Crispin share a bizarre magical experience out on Rottnest Island, off Freemantle, before going their separate ways. We then slip back in time to a fascinating section of The Bone Clocks which takes place in an Aboriginal community just outside of nineteenth century Perth. This is the extraordinary moment when you realise that The Bones Clocks is a kind of sequel to Mitchell’s previous book, The Thousand Autumns of Jacob De Zoet. Doctor Marinus, a delightful character from De Zoet, re-appears in The Bone Clocks in a way that, unfortunately for me, robbed him of some of his previous charm. The Anchorites, it turns out, are the bad guys, who are in a war with the Horologists - a group of benign immortals who are trying to protect the human race from the Anchorites’ predatory ways. Hugo must decide whose side he’s really on in this battle between darkness and light. The final part of the novel skips into a gloomy dystopian future where the ice caps have melted, the internet has collapsed and China is the hegemonic world power. Although sometimes described as a “magical realist” Mitchell’s vision is very much in the English school of modern fantasy writing following a template laid down by writers such as Michael Moorcock, Clive Barker and Neil Gaiman. Mitchell’s long tenure in Japan has given him an appreciation too for the gothic fables of novelist Haruki Marukami, whose recent IQ84 is particularly resonant in The Bone Clocks. Already long-listed for the 2014 Booker prize It is unlikely that Mitchell’s new novel will disappoint many of his admirers, but on finishing the book I found myself a little let down. The internal logic of The Bone Clocks is not particularly rigorous and many of the magical battles felt rather silly and Harry Potterish. Like Gaiman or the British writer JG Ballard, Mitchell seems to have the most fun in the exploration of big ideas from fantasy or science fiction, but he clearly has the skill to dramatize the humdrum existence of every-day life. For all the showiness of Mitchell’s arcane set pieces and impressive ‘world-building’ the bits of his novels that I think are the most enjoyable are his funny, touching interactions between ordinary people in realistic settings. Perhaps Mitchell needs to become more of a miniaturist, a voyager into what JG Ballard himself called the ‘inner space’ of our contemporary existential predicament, rather than the outer space so beloved of futurists and sci-fi novelists. At one point in The Bone Clocks the reincarnated Doctor Marinus speaks of his love of the German Romantic poets; the most precocious of those poets, Novalis, famously declared his intention of concentrating his craft on the interior life of man because “inward goes the way full of mystery.” This is still good advice and as dazzling as Mitchell’s new book is I hope that next time he will turn his powerful lens inward and focus it a little closer to home.